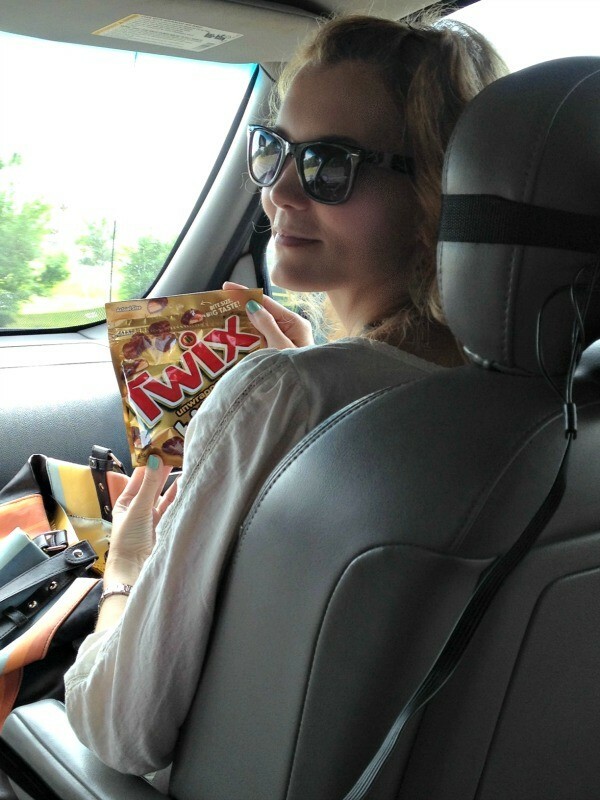 With a list in hand for our trip; which included travel items like soaps, shampoo and toothbrush holders, I also purchased a variety of different unwrapped bites at Walmart which included the TWIX Bites, MILKY WAY Simply Caramel and Snickers Bites. Yum. 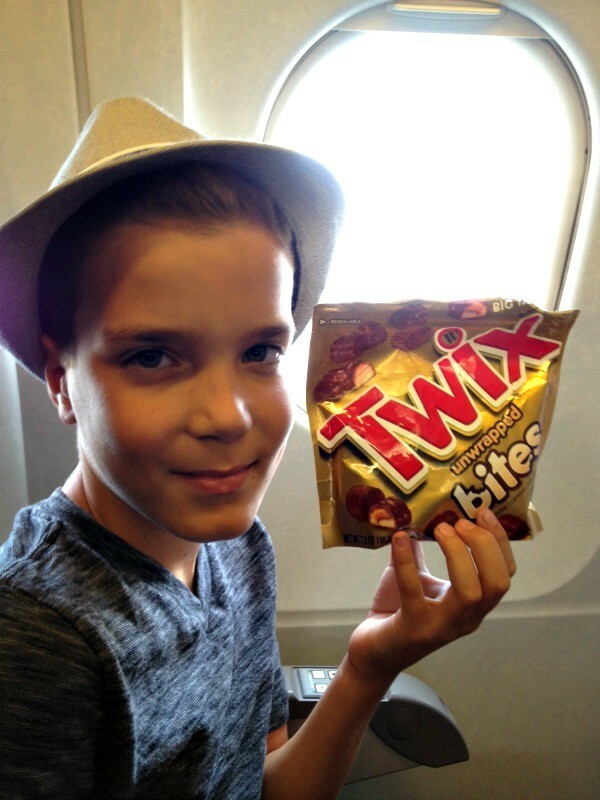 The Bites are unwrapped and ended up being perfect for travel. We loaded up the van and headed to the airport, with kids and snacks in tow! Once we arrived at the airport, made it through baggage check-in and the security point, then it was time to sit and wait. 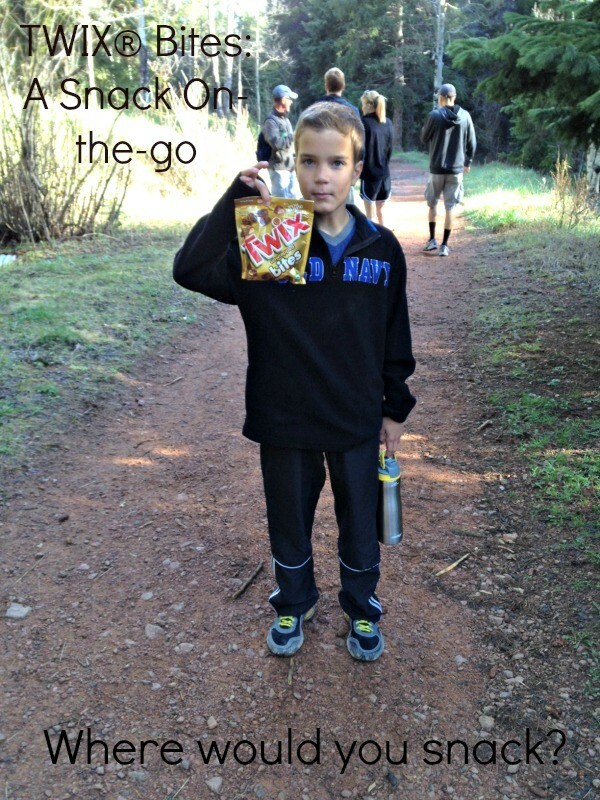 Or as we like to call it…snack and wait. 😉 Airport food is pricey, so having some snacks on hand is always a good idea. 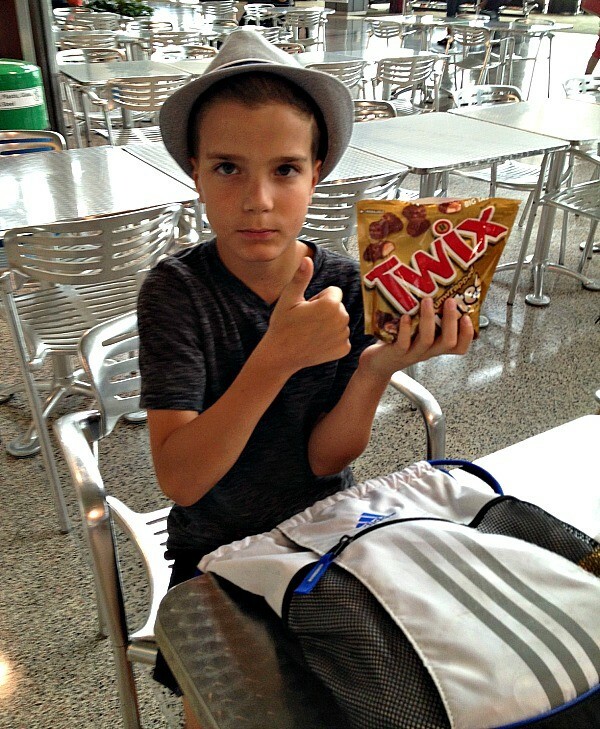 Ten year old Aaron gives TWIX Bites a thumbs up. He even tried to steal some from my bag. I don’t think so little man. No matter how cute you are in that fedora! 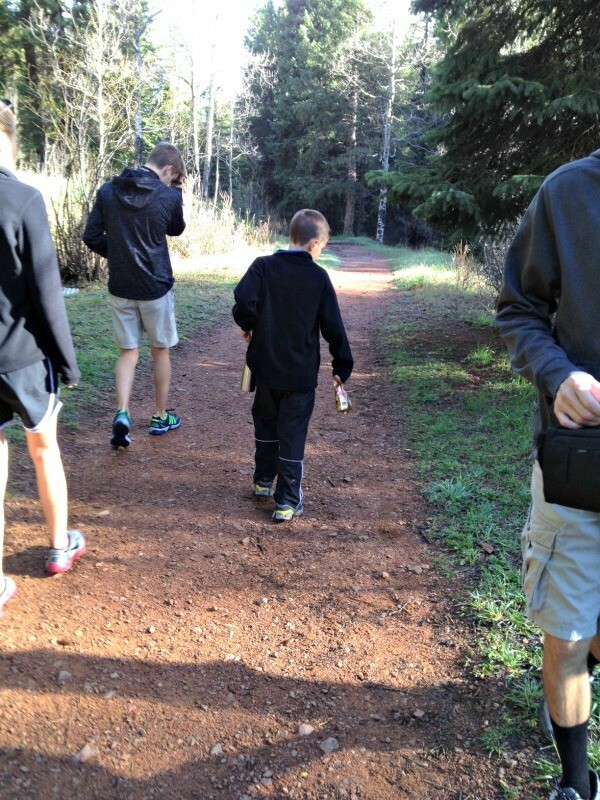 Now it was time to board the plane, hit the skies and fly to our destination – Colorado! 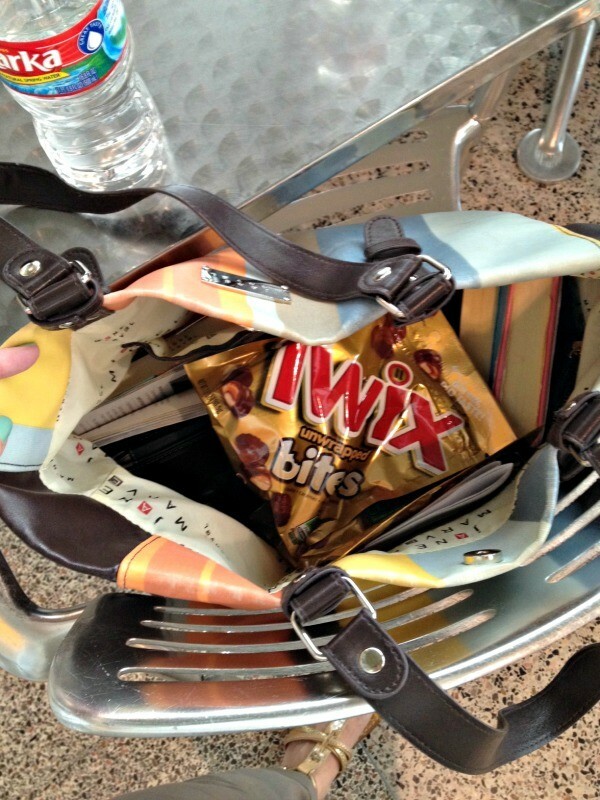 TWIX Bites are the perfect size to throw in a bag for on-the-go snacking. 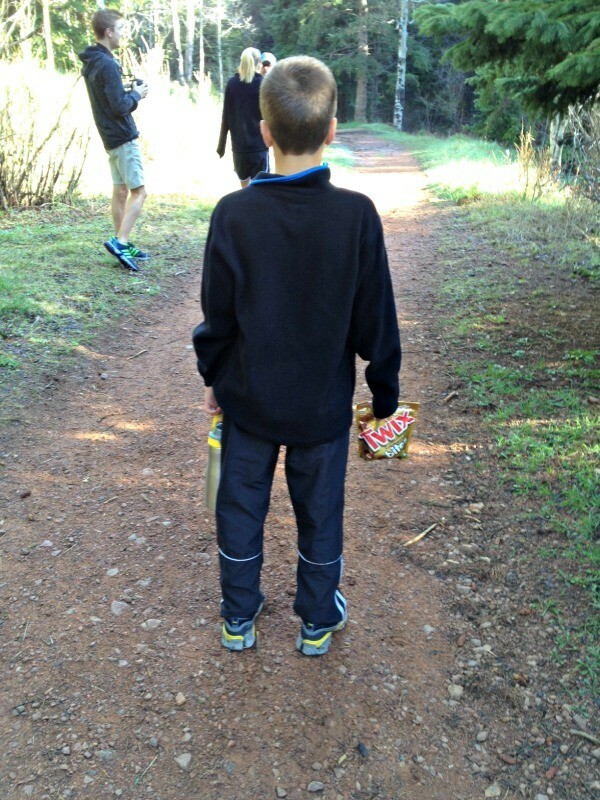 Here he is walking along the trail with his bites in hand. 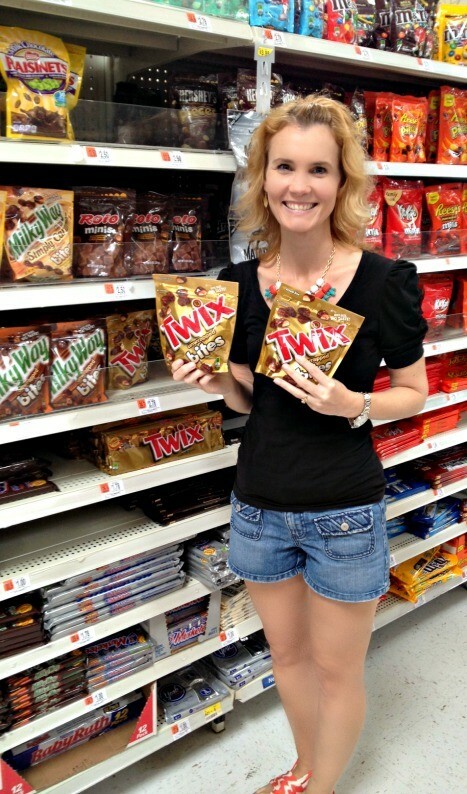 Where would you snack on your TWIX Bites? Maybe a movie night at home or a road trip? 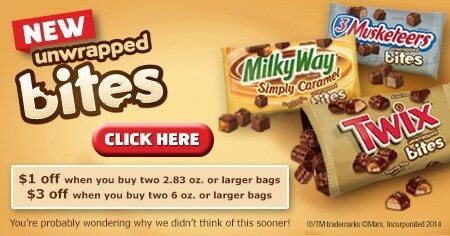 Wherever you decide to snack, here’s a coupon for you to use. Just click on the image below. For those of you who enjoy using coupons and would like even more offers, here you go! Just click to print.